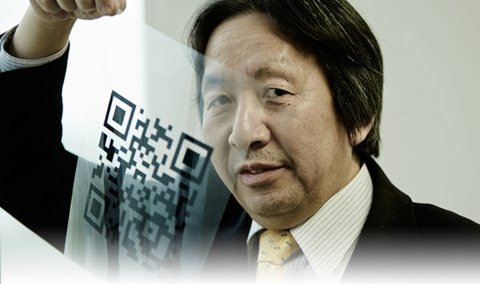 LONG BEACH, Calif.—- DENSO ADC announced that the QR Code® development team from DENSO Wave, Incorporated and Toyota Central R&D Labs was awarded the European Inventor Award Popular Prize, at a ceremony held June 17, 2014, in Berlin, Germany. DENSO Corporation, headquartered in Kariya, Aichi prefecture, Japan, is a leading global automotive supplier of advanced technology, systems and components in the areas of thermal, powertrain control, electronics and information and safety. Its customers include all the world’s major carmakers. Worldwide, the company has more than 200 subsidiaries and affiliates in 38 countries and regions (including Japan) and employs nearly 140,000 people. Consolidated global sales for the fiscal year ending March 31, 2014, totaled US$39.8 billion. Last fiscal year, DENSO spent 9 percent of its global consolidated sales on research and development. DENSO common stock is traded on the Tokyo and Nagoya stock exchanges.